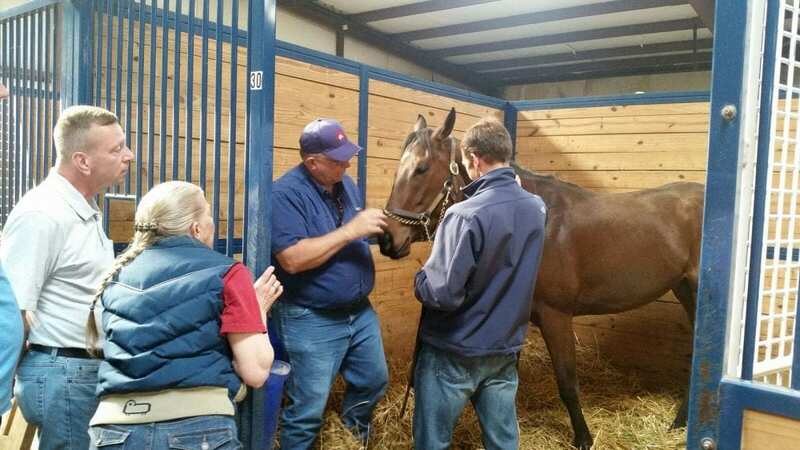 C. Reid McLellan, PhD., Executive director of The (Groom) Elite Program, Inc., and a nationally known equine educator, will be conducting a Trainers' Exam Prep Class in Lexington, Ky June 28-30. Since 1998 this program has provided information about the Rules of Racing to individuals considering taking a state licensing exam. It has also been popular with owners and horseplayers that simply want to know more about the Rules of Horse Racing and how they affect training, racing and handicapping of racehorses. This class includes discussion of material included on the barn (practical exam) and written tests. Rules differ from state to state and this class points out some important differences. Drug rules and regulations are changing almost monthly, and updated changes are discussed in the Veterinary section. Claiming rules are changing across the country and differences among states is highlighted in the Claiming section. McLellan has offered this class in 10 states since 1998 to over 300 participants from 24 states and 2 foreign countries over 270 of which have gone on to obtain a trainers license. As part of his service on the Welfare and Safety of Racehorse Summit education committee McLellan assisted in the development of the National Trainers Exam. Registration fee is $350 with a special “Early Bird” registration fee of $299 if paid by June 23. Participants receive an annually updated 110 page study guide that participants maintain is a good reference book even after obtaining their license. Also included is a ROAP produced DvD “Duties of Racing Officials”, a jump drive with narrated power point study guides and a link to a private web page where attendees can take practice written tests until they are confident they are prepared for the real thing. Class since is limited to 12 participants to allow opportunity for discussion and practical exercises. The next Trainers' Exam Prep Class will be at Remington Park in Oklahoma City August 16-18. For more information and to register for either the Lexington Trainers' Exam Prep Class (June 28-30) or the Remington Park class (Aug 16-18) go to www.groomelite.com or www.purplepowerracing.com or call Dr. McLellan at 859-321-4377. This entry was posted in The Biz and tagged Dr. C. Reid McLellan, groom elite program, Horse Racing, thoroughbred, trainer's licensing courses, trainers exam prep by Press Release. Bookmark the permalink.